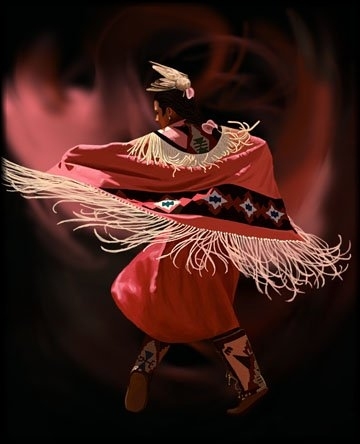 readying herself to dance for The Creator. the rising smoke encircles and consumes her. her mind, body and soul. her soul awakens and she comes to life. Upon Mother Earth she softly steps. With a humbled heart she dances. with every ounce of her being she keeps in time. It over takes her soul. She raises her eyes towards the Heavens. for Mother Earth and all living things. no breath of life within her. As the drums dwindle, so does she.